I can't believe Valentine's Day is here. While today is Friday the 13th, another awesome day to celebrate in it's own right, I had to share one last Valentine's Day treat for your loved ones before it's officially The Day of Love! This super fun reminder you care is the perfect way to make your "main squeeze" smile! 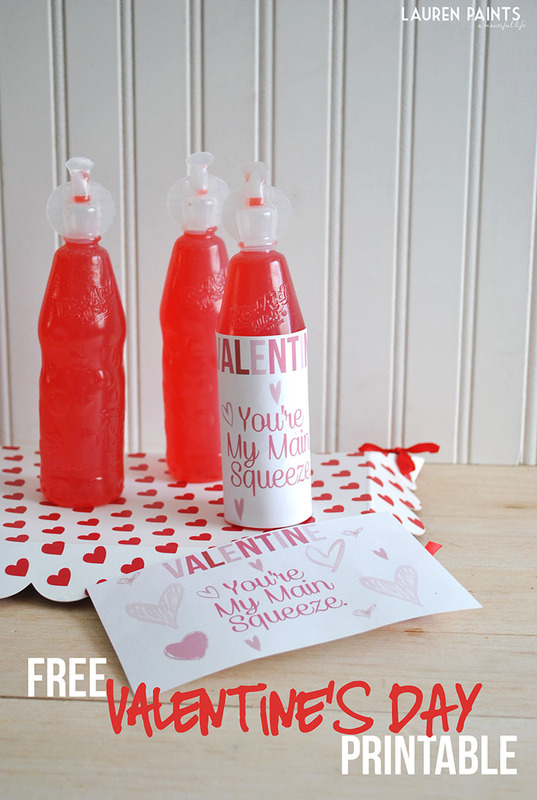 I made this "Valentine, You're My Main Squeeze" printable for you to download here; all you have to do is cut and tape and these adorable Valentines are ready to hand out to all of those you want to treat! 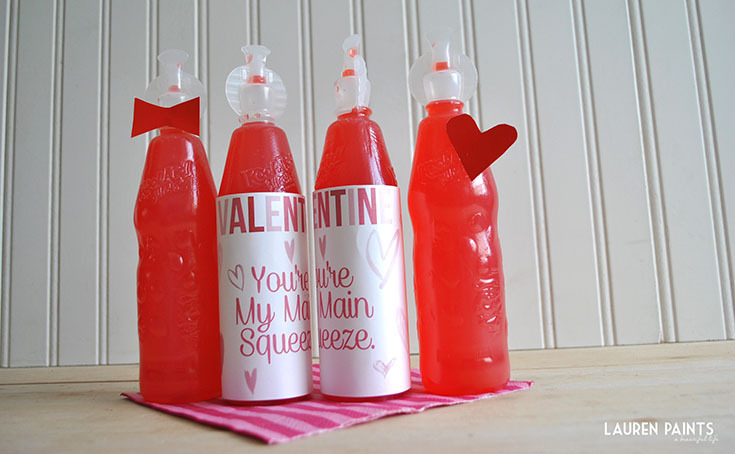 If you plan to host a Valentine's Day party or want to surprise your man with a six-pack, these would be adorable around adult beverage bottles as well! I also made cute little bow ties to mix up how my bottles looked, easily crafted with some red card stock! I love making cute little treats like this and although hubs may think it's a little cheesy, I'm certain he enjoys being treated to reminders of my love - because we all love love, right? Even if you are certain your Valentine feels loved, a little reminder like this on Saturday morning with some donuts could really make your sweetie feel special! 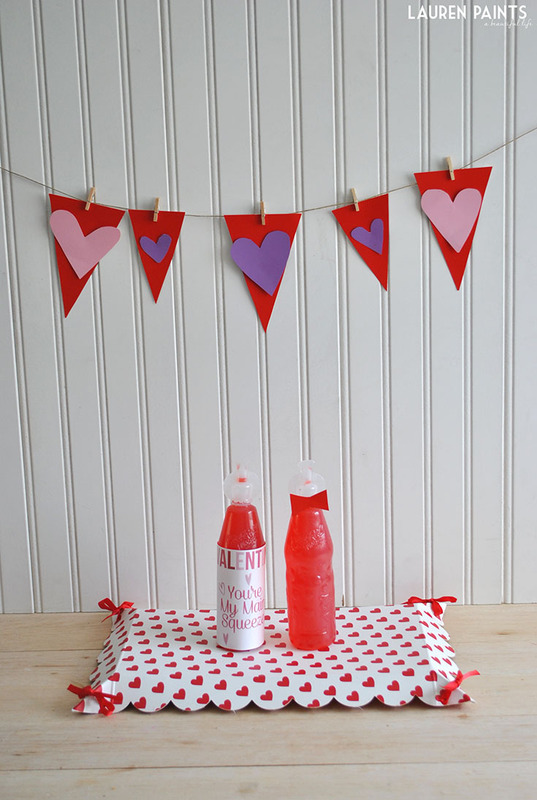 I'd love to know, What kind of sweet little Valentine's treats do you have planned for your sweetie?